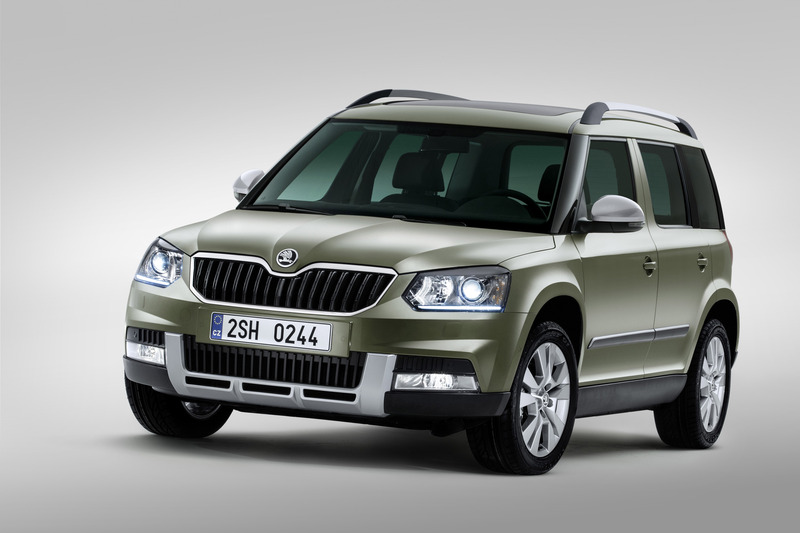 The ŠKODA Yeti is one of the most popular compact Sport Utility Vehicles (SUVs). For the first time ever, this compact SUV is now available in two different variations: as the elegant and stylish ‘City' variation and an adventurous off-road ‘Outdoor' variation. Both design variations of the ŠKODA Yeti feature a new front and rear, new alloy wheels, fresh interiors, new ‘Simply Clever' ideas, maximum functionality and additional engine/transmission combinations. 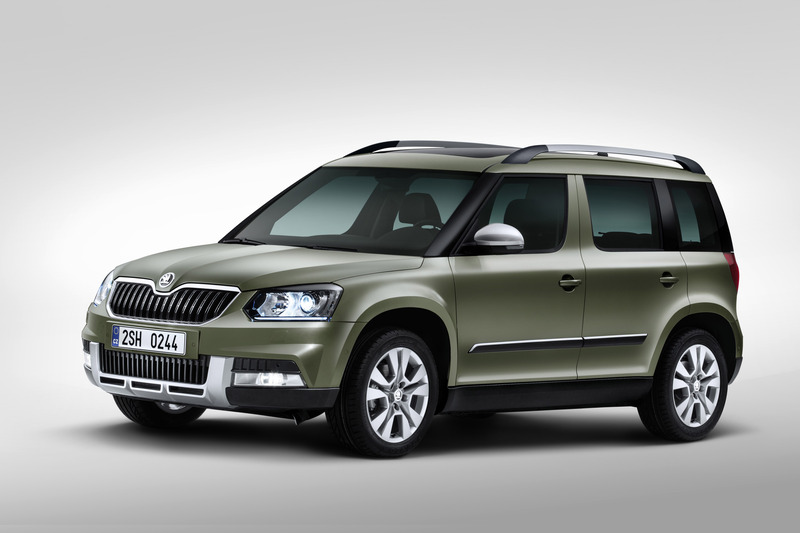 Both new models are to be unveiled at the Frankfurt Motor Show in September, and both new ŠKODA Yeti variations will be launched on the first markets by the end of 2013. 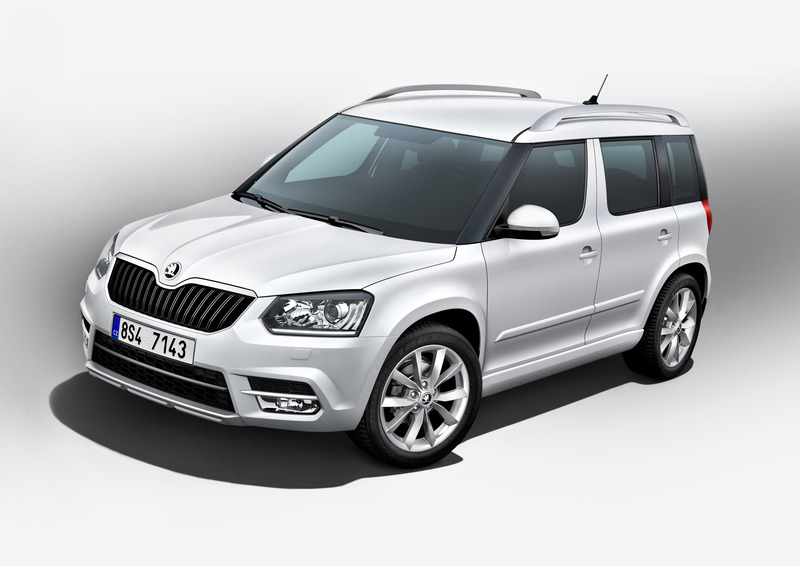 ​"The ŠKODA Yeti is one of the most attractive compact SUVs on the market and has far exceeded our sales expectations since its launch four years ago," says ŠKODA CEO Winfried Vahland. "With this all-new look and being offered in two variations for the first time, we are establishing new benchmarks as we continue our outstanding progress in this rapidly growing vehicle class," says Vahland. One particular highlight is the first time offer of two individual design lines. ŠKODA's compact SUV is now available in an elegant, stylish city look as well as an off-road look for trips in the country. One significant difference between the two is that the front and rear elements, such as the bumpers, underride guard, side mouldings and door sills are either in the body colour or, as with the ŠKODA Yeti Outdoor variation, remain in black plastic. The ŠKODA Yeti Outdoor features standard silver exterior rear-view mirrors. 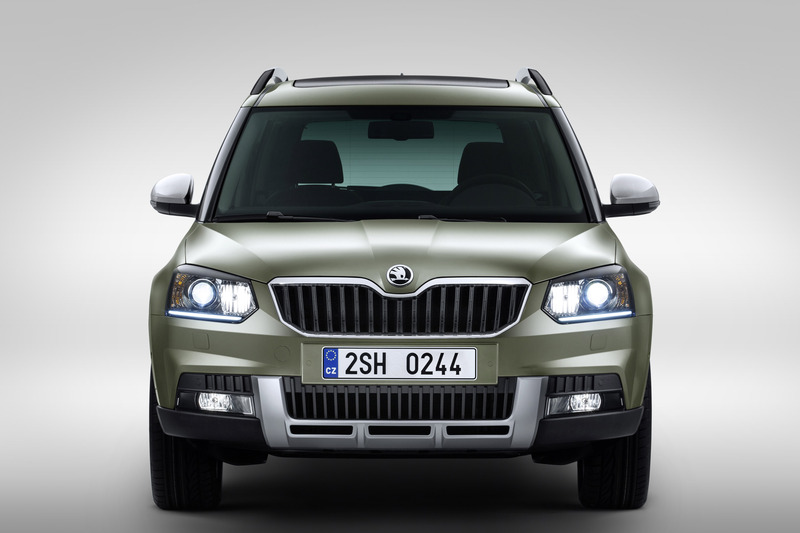 The ŠKODA Yeti brings forward a new ŠKODA design. The fronts and rears have been reinterpreted and are now even more striking. The criteria of ŠKODA's new design language are clearly evident: precise edges and lines, an emphasis on horizontal lines, and a new vehicle logo. The new fronts of both vehicles are now more horizontally accentuated and feature a distinctive grille and redesigned headlights, available as an option for the first time with bi-xenon headlights and integrated LED daytime running lights. In keeping with ŠKODA's new design language, the front fog lights are now rectangular and are now located further under the front bumpers. The Yeti's new rear also has a new layout, including a new tailgate shape with distinctive rear lights now in an even more precisely moulded C design, optionally available as LEDs, and, in line with the new ŠKODA look, two cubist triangular elements alongside the new ŠKODA logo. The wheel program has been expanded with four newly designed, attractive alloy wheel designs. There is now a wider selection of colours available, including four new metallic finishes – Moon White, Jungle Green, Metal Grey and Magnetic Brown. The latter is a Yeti L&K exclusive. The new Yeti models have an all-new fresh interior – with new 3-spoke steering wheels in seven variations, new fabrics and patterns for the seat covers as well as new decorative trims for the dashboard. The Yeti is the brand's first model with Optical Parking Assistant, an optional rear-view camera that continues the use of practical and safety-related assistance systems in the Yeti. 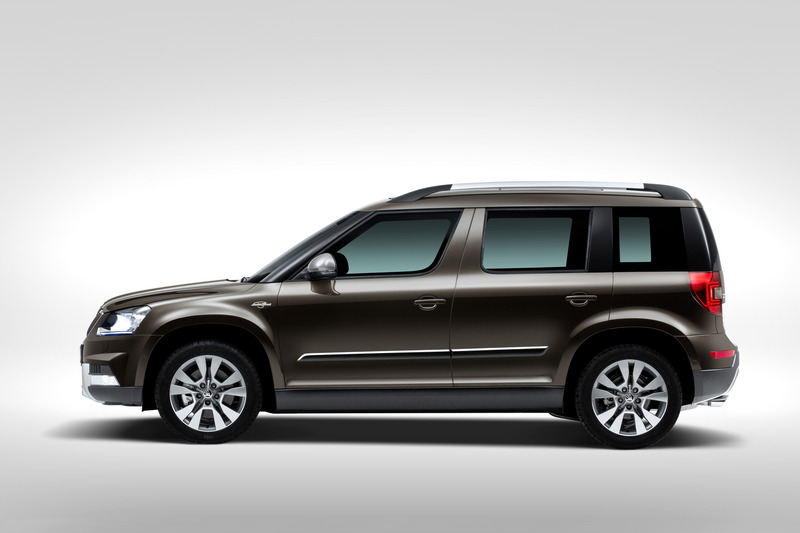 This is the first time that the ŠKODA Yeti will feature the latest generation of the automatic parking assistant. The new system enables the Yeti to automatically reverse and parallel park and even pull out. The new ŠKODA Yeti also features the automatic lock and start system ‘KESSY' for the first time. This technology enables the driver to automatically open, lock and start the vehicle without having to put the key in the ignition. 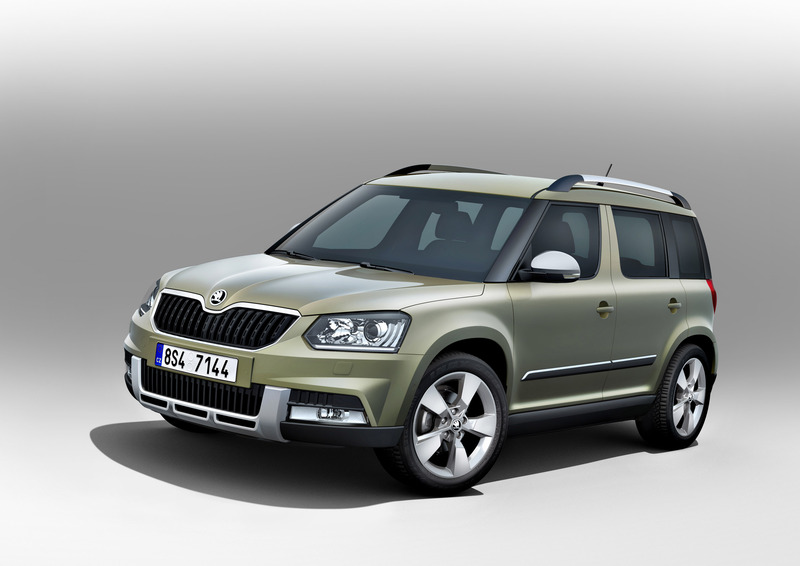 The revised ŠKODA Yeti has also received four new 'Simply Clever' solutions. The double-sided floor covering in the boot, which has already proven itself in other ŠKODA models, is new. There is also a detachable LED light in the boot, the vest holder under the driver's seat and the waste container in the side door of the Yeti. 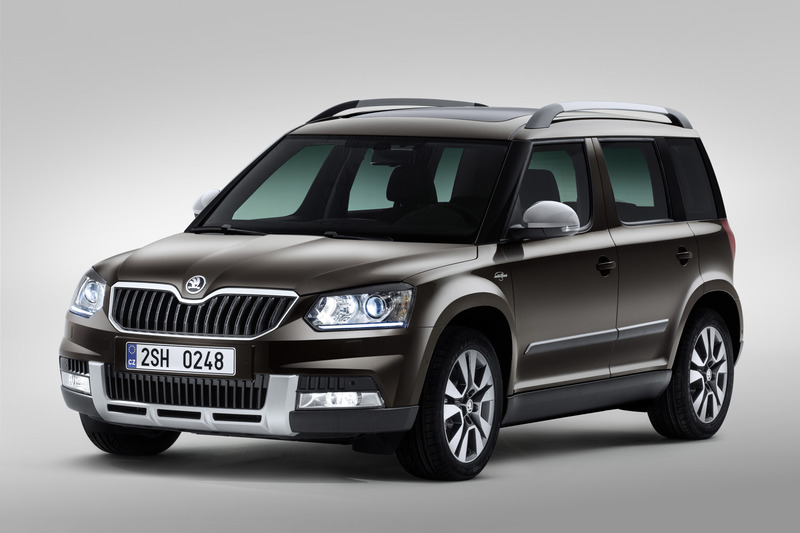 In addition to the new features, the revised ŠKODA Yeti continues to offer all of the well-known optional comfort features, including the gigantic panoramic tilt/slide sunroof, the modern Climatronic dual-zone air conditioning system, heatable seats, a cruise control system, a heated windscreen or electronically adjustable driver's seat. 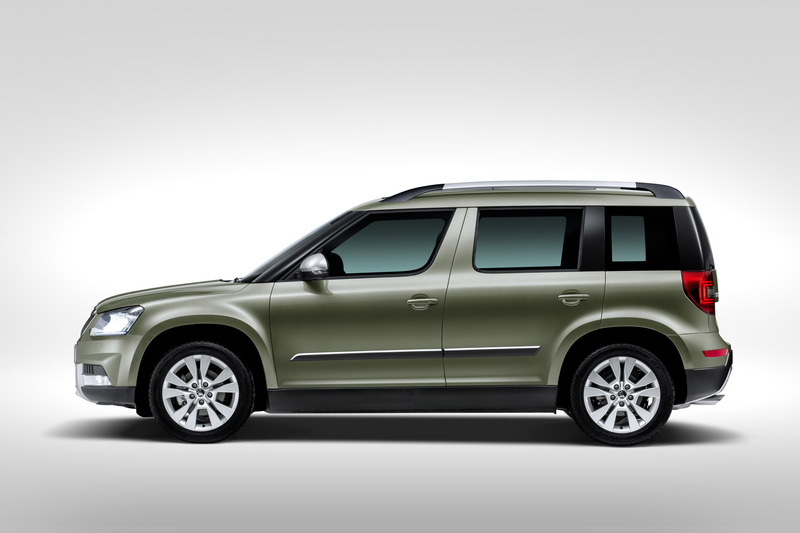 One highlight is and remains the ŠKODA Yeti's VarioFlex rear seat system, offering unique interior versatility. The three rear seats can be individually folded down or removed. The outer seats can be shifted lengthways or crossways with the middle seat removed. The Yeti can be transformed in an instant from a five- to a four-seater, making more space for the rear passengers. There are also the tried and proven features such as the fold-down backrest of the passenger seat, folding tables on the backs of the front seats, various storage compartments or practical bottle holders. Functionality is a top priority in the boot, featuring, among other things, fastening points and fold-down hooks. The Yeti once again confirms its generous space offerings. In no other compact SUV do the rear passengers have as much headroom as in the ŠKODA Yeti – 1,027 millimetres. The boot capacity is at least 405 litres. Pushing all the rear seats forward increases the volume up to 510 litres, and taking all the rear seats out increases it to a fantastic 1,760 litres. There are four diesel and three petrol engines to choose from for the all-new ŠKODA Yeti – all turbocharged and with direct injection. The performance spectrum ranges from the 1.2 TSI with 77 kW and 105 hp to the 2.0 TDI with 125 kW and 170 hp. The fifth generation front- or all-wheel drive with Haldex coupling is fitted depending on the engine specs. As an automatic transmission, the ŠKODA Yeti exclusively uses the modern six or seven-speed dual clutch transmission (DSG). The Yeti GreenLine version with 77 kW 1.6 TDI, front wheel drive and a manual gearbox produces CO2 emissions of just 119 g/km. This corresponds to a consumption of 4.6 litres of diesel per 100 km (61 MPG). Additionally, there are three Green tec engine variants for the 103 kW 2.0 TDI engine with manual six-speed transmission and 77 kW 1.6 TDI with seven-speed DSG. The front-wheel drive 90 kW 1.4 TSI petrol engine with manual transmission is only available as a fuel-efficient Green tec version. The Green tec package includes the start-stop system, brake energy recovery (recuperation) and low rolling resistance tyres. The diesel engine 2.0 TDI with 125 kW is now available with the fantastic combination of all-wheel drive and automatic six-speed dual clutch transmission. An automatic seven-speed dual-clutch transmission is now available for the front-wheel drive Yeti 77 kW 1.6 TDI. 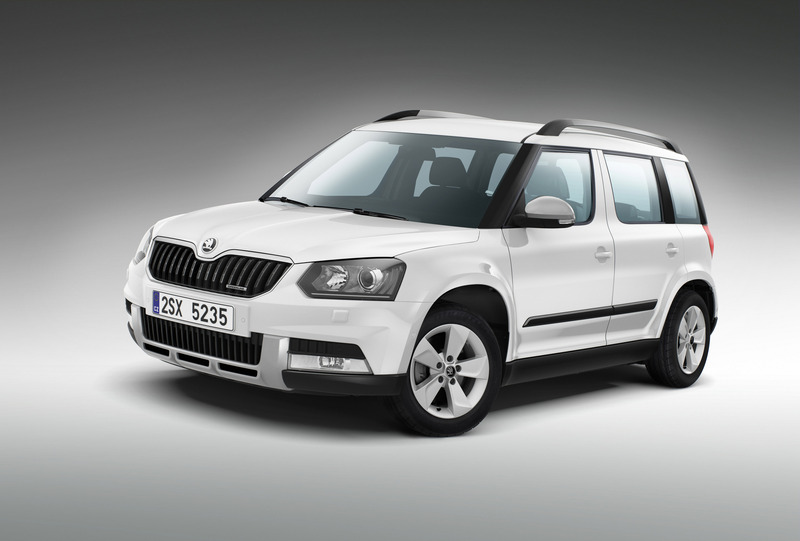 The ŠKODA Yeti cuts no corners in terms of safety, earning a top rating of five stars in 2009 in the Euro NCAP crash test. Active safety has been increased through ESC (electronic stability control) and ABS (anti-lock braking system) with Brake Assistant. These systems are standard equipment in EU countries. The front fog lights can be optionally equipped with corner function. New bi-xenon headlights with LED daytime running lights increase the visibility of the vehicle and the illumination of the road in the dark. There are electronic assistants for driving up and down hills. Other options include an electronic tyre pressure monitoring system. Thanks to electronically controlled all-wheel drive (fifth generation Haldex coupling) and a ground clearance of 180 mm, the compact SUV is ready for almost any terrain. The EDS electronic differential lock enables a smooth and comfortable start and grip on various road surfaces. In terms of passive safety, the Yeti boasts up to nine airbags. Isofix points securely fasten child seats to the car. 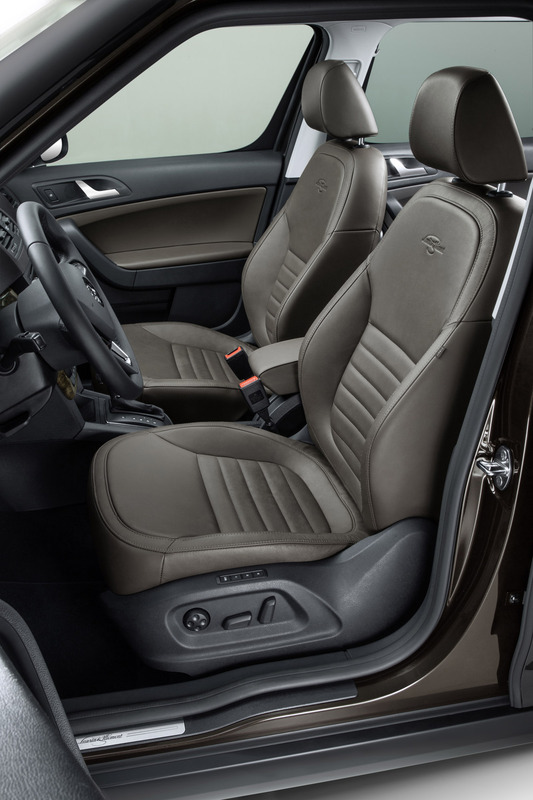 Three-point seat belts in the front with belt tensioners and height adjustment and height-adjustable headrests complete the safety package. ŠKODA celebrated its premiere in the compact SUV segment in 2009 with the ŠKODA Yeti, which quickly became one of the most successful vehicles in its class. 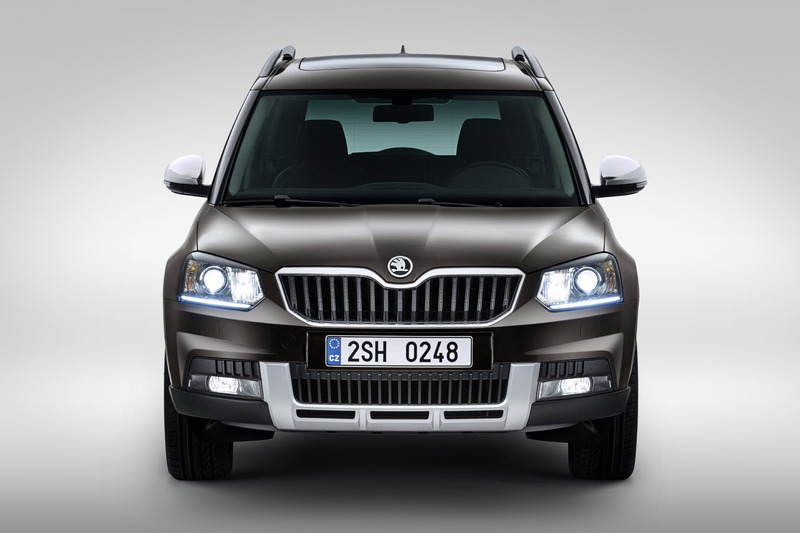 A total of 268,300 ŠKODA Yetis have been sold to date (as of July 31, 2013). In 2012 alone, ŠKODA delivered around 87,400 Yetis– an increase of 24 per cent over the previous year, and 46,900 Yetis were delivered to customers worldwide in the first seven months of 2013. The Yeti is one of the best-selling A-Class SUVs in Europe with a market share of around 5 per cent. It is the clear leader in this vehicle segment in the Czech domestic market, where it is built at the plant in Kvasiny. ŠKODA is focusing on the international growth markets as part of the brand's 2018 growth strategy. The ŠKODA Yeti has been sold in Russia since the end of 2012. The vehicles are built locally in cooperation with the Russian GAZ Group at the Nizhny Novgorod plant. The Yeti has also been sold in China, currently as an import model, since the middle of 2013. An extended version of the Yeti will be offered especially for the Chinese market by the end of 2013. It will be built locally by Shanghai Volkswagen. The ŠKODA Yeti has touched the hearts of SUV enthusiasts since its market launch, as proved by the 47 national and international awards it has received to date. The Yeti, among others, was chosen in a survey carried out by the trade magazine ‘Auto Express' by around 46,000 readers to be the car with which UK customers were most satisfied. With the release of two all-new variations of the Yeti at the same time, ŠKODA continues its biggest model offensive in the company's history. In 2013 alone, ŠKODA will be bringing out eight new or completely revised models, with plans to increase global sales to at least 1.5 million vehicles per year by 2018.